Warm up the winter with a cute accent piece in the home. 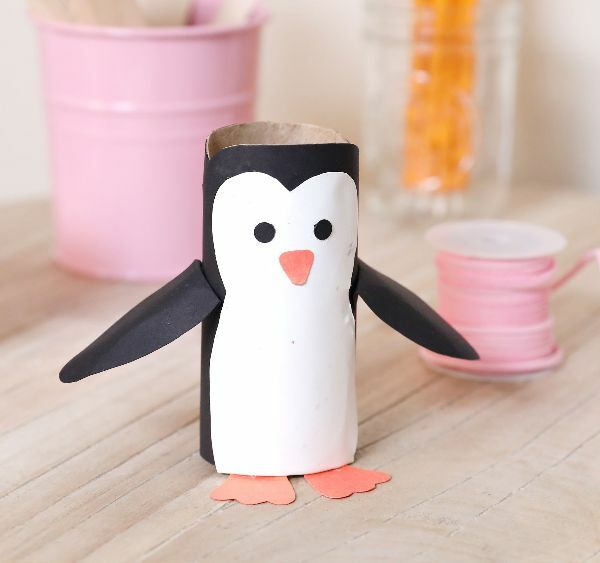 Easily crafted using a single toilet paper tube, this DIY penguin is sure to be an adorable conversation starter. Requiring little more than some construction paper and glue, it doesn’t take a lot of time to turn a simple household item into a sweet, orange-footed friend that adds whimsy to any table or shelf. This project is fantastic as a snow day in project for the kids. Creating a toilet paper tube penguin provides a lot of family fun while also leaving room for a creative touch. Let the penguin stand alone, or encourage crafters to create an entire colony and watch imaginations run wild. This low-cost project uses many items commonly found in the craft drawer. It is a fun homage to the flightless bird, turning a simple toilet paper tube into something creative and cute. 1. Cut a single sheet of black construction paper down the length of the paper using 4-inch markings at several points to maintain an even width. 2. 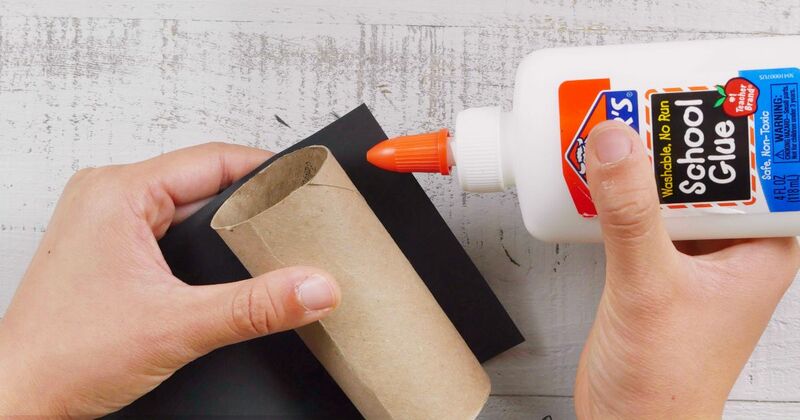 Attach one end of the black construction paper length-wise to a toilet paper tube using a line of Elmer’s glue. Press firmly and use two paperclips to keep in place until dry. 3. Continue rolling the black construction paper around the toilet paper tube until the tube is completely covered. Attach where the edges meet with a line of Elmer’s glue and use two additional paperclips to keep the ends in place until dry. Cut away any excess paper at the edges. 4. Trace a wide figure-eight shape with a pencil on a piece of white construction paper, not exceeding four inches high, and carefully cut it out. 5. Line the perimeter of the white figure-eight shape with Elmer’s glue and press firmly onto one side of the toilet paper tube. Use paperclips as needed to hold the shape in place until dry. 6. Cut out two wings about three inches in length from the remaining black construction paper starting at a flat edge. Once removed, fold the wings lengthwise gently in half for stability. 7. Fold over the flat end of each wing and use a spot of Elmer’s glue on either side of the toilet paper tube to attach firmly. The long fold of each wing should be facing upward. 8. Cut two small webbed feet from a piece of orange construction paper beginning on a flat edge. 9. Fold over the flat edge of the feet and use a spot of glue to attach both to the underside interior of the toilet paper tube. 10. Create two small circles from the remaining black construction paper using a handheld paper hole punch. Apply a spot of glue on the backside of each small circle to attach to the face of the penguin as eyes. 11. Cut a small triangle from the remaining orange construction paper and attach to the penguin’s face directly between and below the two eyes as a beak. 12. Cut two inverted triangles going down approximately half an inch on either side of the top of the toilet paper tube framing the eyes. 13. Display this cute creation anywhere in the home and enjoy the Arctic view!